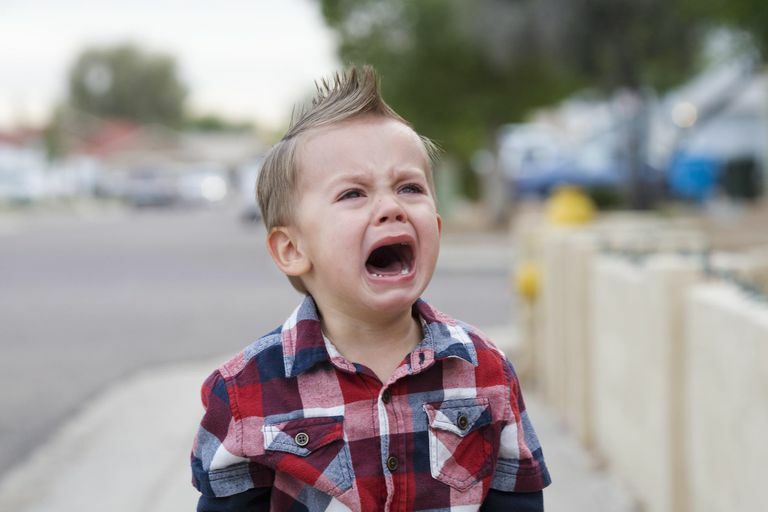 Whether your child hits because he's angry or he bites for reasons you just don't understand, aggressive behavior can be a normal part of child development. Usually, if a child receives consistent negative consequences for aggression—and learns new skills to improve his behavior—aggression begins to subside during the preschool years. Occasionally, aggression can be a symptom of a much bigger problem. And in some circumstances, a child may require professional help to address the problem. Toddlers sometimes behave aggressively because they lack the verbal skills to get their needs met. A child who can't say, "Don't do that," when his brother takes the toy out of his hands may hit or bite to express his displeasure. School age children sometimes behave aggressively because they can't regulate their emotions. A child who doesn't have the language ability to say, “I’m really angry right now” might show his anger by kicking his mother. Sometimes, kids become aggressive because hitting or biting works. If a child discovers that his sister leaves him alone if he hits her, he may decide hitting is a good way to get what he wants. Sometimes, children hit their parents as a way to try and get their way. And if it's effective, aggression is likely to get worse. For example, if a child hits his mother because she won't buy him a toy and his mother eventually gives in and gets him the toy, the child will learn hitting is a good way to manipulate his mother. Any act of aggression should result in an immediate consequence. Don't give warnings or reminders to stop. Time-out- When used appropriately, time-out teaches children how to calm down. The ultimate goal of time-out should be for children to put themselves in time-out before they lash out aggressively. Restitution- If your child hurts someone, restitution should be part of the consequence. Restitution may involve loaning his favorite toy to the victim or doing extra chores to pay for the damage. Restitution can help repair the relationship and give your child an opportunity to make amends. Loss of privileges- Take away your child’s favorite possession or activity for 24 hours. Losing electronics or a chance to go to a friend's house can be an effective reminder not to hurt anyone else. Natural consequences- If your child destroys his own property, a natural consequence may be the most effective. If your teenager throws his phone and breaks it, don't buy him a new one. Going without a phone and then buying his own replacement can serve as a valuable life lesson. Reward systems- If your child exhibits aggression often, establish a reward system. Provide positive reinforcement for good behavior, like gentle touches. A token economy system can also eliminate aggression fast. No matter what type of consequence you choose to use, make sure that it constitutes discipline and not punishment. Shaming or embarrassing your child can backfire and may lead to increased aggression. Aggressive behavior indicates your child lacks the skills he needs to manage his behavior appropriately. Teaching children new skills should be part of the discipline process. Social skills, problem-solving skills, and conflict resolution skills will reduce aggressive behavior. Ensure that your discipline teaches your child 'what to do instead.' Rather than saying, "Don't hit," say, "Use your words." Help your child see alternative choices that don't involve aggression. Occasionally, aggressive behavior can stem from more serious behavior disorders or mental health problems. If your child's aggression is serious, or it isn't responding to discipline, talk to your pediatrician.